Members and non-members are welcome to attend this event. In order to access all TGDG benefits, we encourage you to become a member. Registering for this event will guarantee your spot, however, it is not required. In the early 1980s Newmont commenced a generative exploration program in Indonesia. The main objective was an outcropping epithermal gold deposit; however the methodology used was broad enough to locate any style of outcropping mineralization. The results of that exploration program were the discovery of the Mesel gold deposit in North Sulawesi, and the Batu Hijau and Elang copper-gold deposits on Sumbawa Island. Mesel is a sediment-hosted replacement-style gold deposit with analogies to Carlin-style mineralization in Nevada. Batu Hijau and Elang are classic porphyry copper-gold deposits. All were new greenfields discoveries. Mesel is located ~4 km from eluvial gold workings that were exploited by the Dutch between 1900 and 1921. Outcrops at Mesel had been sampled by the Dutch but were not developed, probably due to the refractory nature of the gold. Normandy discovered the Martabe deposit in northern Sumatra in 1997 using BLEG (bulk leach extractable gold) stream sampling, as had been previously used successfully by Newmont. 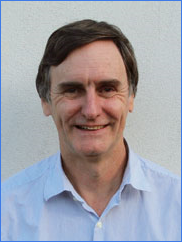 Bio: Stephen Turner is currently chief geologist, Asia Pacific Region, for Newmont Mining Corporation and is based in Perth, Western Australia. He graduated with a B.Sc. (Honours) degree from the University of Western Australia (1979) and subsequently obtained an MSc (distinction) degree through the Geothermal Institute at the University of Auckland, New Zealand (1986), with studies on a high-grade epithermal gold deposit at Mt. Kasi in Fiji. He gained his doctorate from the Colorado School of Mines (1997), with a field-based study on the giant Yanacocha high-sulfidation epithermal gold deposits in Peru. Following a short spell with Chevron Minerals, Stephen has worked with Newmont his entire career, commencing as mine geologist at the Telfer gold mine in Western Australia and as an exploration geologist in the Eastern Goldfields. Stephen first moved offshore from Australia with exploration programs in Solomon Islands and Fiji, and then worked in Indonesia as project manager at Mesel and as chief geologist for South East Asia. During this period, Newmont discovered three significant gold/copper-gold deposits at Mesel, Batu Hijau, and Elang, in Indonesia. Following his doctoral study on Yanacocha, Stephen stayed on in South America for several years as chief geologist with exploration programs throughout South and Central America. In 2001, Stephen moved to Newmont’s Denver headquarters as global chief geologist, with a focus on generative exploration. This position became part of the Global Exploration Solutions group that worked on a systematic approach to ranking exploration opportunities and prospectivity, along with providing a rational basis for ground selection using technical and country risk analysis. In 2007, Stephen moved back to Perth as chief geologist for the region. Stephen has implemented district-, regional-, and global-scale reviews of orogenic, epithermal, porphyry-skarn, iron oxide Cu-Au, paleoplacer, and "Carlin-type" gold and copper-gold deposits. His particular interests are breccia-associated mineralization, high-sulfidation gold deposits, giant ore deposits, criteria for defining regional prospectivity and maintaining a big picture view.